Eurolux Electric Juicer Just $49.87! Down From $114! PLUS FREE Shipping! You are here: Home / Great Deals / Amazon Deals / Eurolux Electric Juicer Just $49.87! Down From $114! PLUS FREE Shipping! Don’t miss this amazing deal from Amazon! 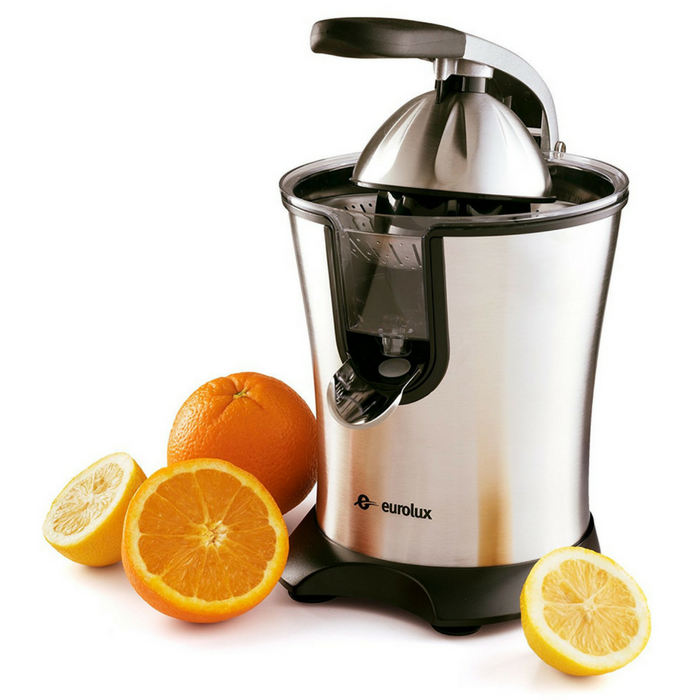 Grab this Eurolux Electric Orange Juicer for only $49.87, down from $113.56, PLUS FREE shipping! Purely what you need for your daily glass of vitamins drinking the juice from citrus fruits like oranges and lemons offers many health benefits. Why go to the market and purchase citrus juices when you can do-it-yourself at home with the Eurolux Electric Orange Juicer! Enjoy fresh juice without pasteurizing. With all the features, you will surely enjoy daily, directly serve, simple, easy and handy fresh juice directly served into your glass. Its anti-drip system is for spotless results. The tip-up spout is to ensure no spilling, no mess. You can even use it directly at your breakfast table. It also has a powerful 160 watts – powerful but still silent – for faster results and effortless use.